At Le Guess Who? 2017, the Netherlands Chamber Orchestra performed in collaboration with NY composer, guitarist and producer Patrick Higgins. 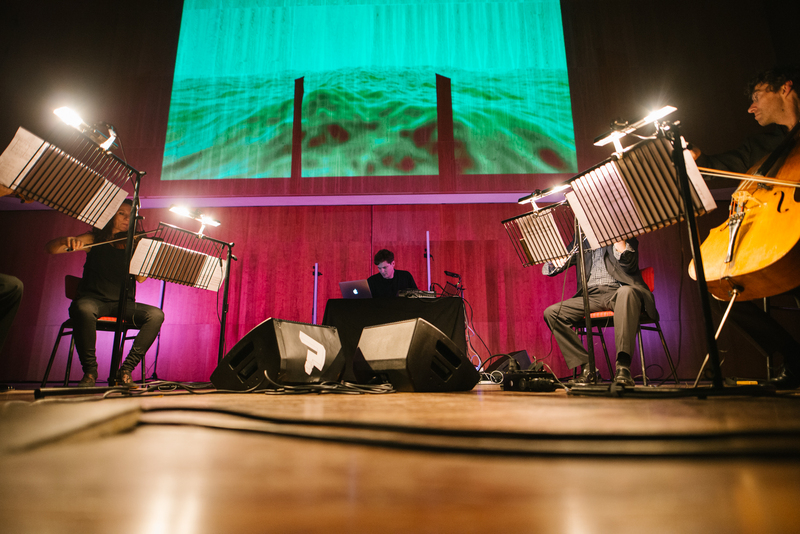 The performance included a live rendition of Carlo Gesualdo's 'Tenebrae Responsories for Holy Saturday', where all voices have been replaced with strings. Carlo Gesualdo (1566-1613) was an Italian composer and nobleman from the late Renaissance who explored novel progressions, harmonies, and tonality that were unheard of in his time, and influenced the likes of Igor Stravinsky and Wolfgang Rihm. Photo: Patrick Higgins & Netherlands Chamber Orchestra live at Le Guess Who? 2017, by Melanie Marsman.